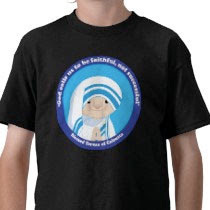 Happy Saints: Mother Teresa merchandise finally up! 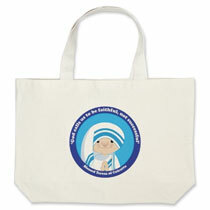 Mother Teresa merchandise finally up! 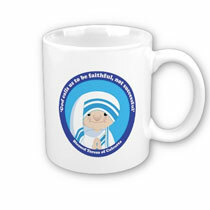 I am pleased to announce that my Mother Teresa artwork merchandise is finally approved by Zazzle and the following are now available at my store: t-shirts, mugs, tote bags and button badges. They were previously rejected because apparently the Missionaries of Charity own the copyright to Mother Teresa's name, images and quotes. 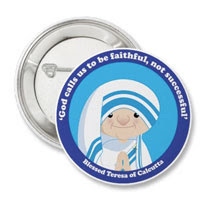 After a few weeks of correspondence with the good sisters at Mother Teresa Center, they have finally granted permission to me to use her image! Please visit my Happy Saints store to see the complete range! Happy Saints Button Badges in Singapore!